When you are looking for a great domain name for your personal blog or business website, there a few things that you must need to consider. First, choose a domain that's easy for users, doesn't have misspellings or any numbers. Second, find a domain that including your business name or any keyword that can reflect your brand. Thirdly, critically think about the domain extension to help your business or personal branding. .com is the most common popular top-level domain (TLD) and it probably used for all business and also personal. It has now become the mainstay for domain extension. A domain with .com carries much more authority compare with unfamiliar or new extension. If you have the opportunity to get a.com, you should go for it. If you are going to set up a Malaysia based company or business, .com.my is the best choice for you. 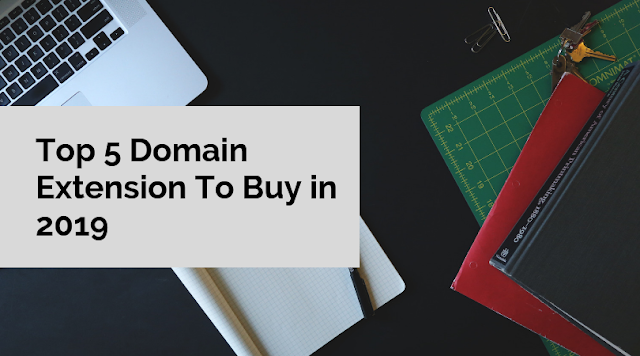 You must also look into the restrictions of each top-level domain (TLD) you are considering to make sure you are eligible to register any domain. For the business owner who wanna sell your product or service in Malaysia, .my is the best choice for you. .my can help to give customer a direct and strong branding. It is memorable and also recognizable. This domain extension usually make your business or portfolio a simple and clear descriptive about your business. If you have a target to make your business expand to oversea or any other asia country, this might be suitable for you to purchase as your business domain. .asia is more toward to hotel industry, travels industry, transport industry, beach, food and other culture related. .co is TLD is actually acronym for corporations, company and commercial ventures. In this few years, many of the startup and small online business like boutique is using this domain extension to build their brand. .co is shorter, newer and widely accepted. This domain extension is great for the business who target younger customers. WhatsApp us to get Promo Code!